Christian Cattery serving the United States, Canada and abroad. Welcome we are a CFA Christian Cattery offering the finest little blossoms to cherish and love for a lifetime. 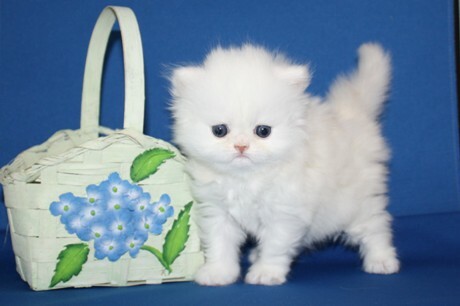 We have been Doll Faced Persian Kitten breeders for over a decade. Our White and Silver Doll Faced kittens are the best of the best, boasting Grand Champion Lineage with healthy, unsurpassed beauty and wonderful temperaments. We have the kitten for those who want the very best the World has to offer! Our Cattery breeds from the finest lines in the country, feel free to browse our pedigrees. Our parent Cats are complimented all over by Veterinarians and other breeders!